Baby and toddler earrings for girls, a perfect gift for little children. 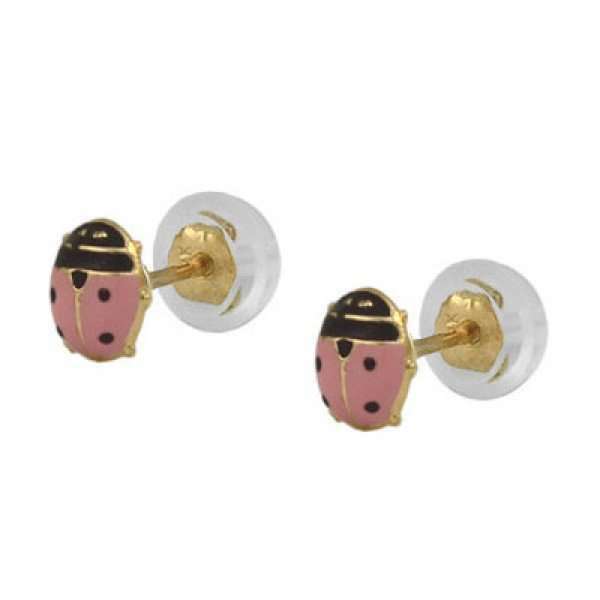 The ladybug studs are made of 14k yellow gold with pink and black enamel. 14K yellow gold core silicone push on back is comfortable, easy grip, safe and secure.